The raffle is now over and Adumbledore was the winner! So, I haven't actually been using these forums that much, but I really enjoy the atmosphere here. It's rare to see people get along on the internet That's why I've decided to hold some raffles in order to give something to the community. I apologize if this is the wrong section to post the thread in it. 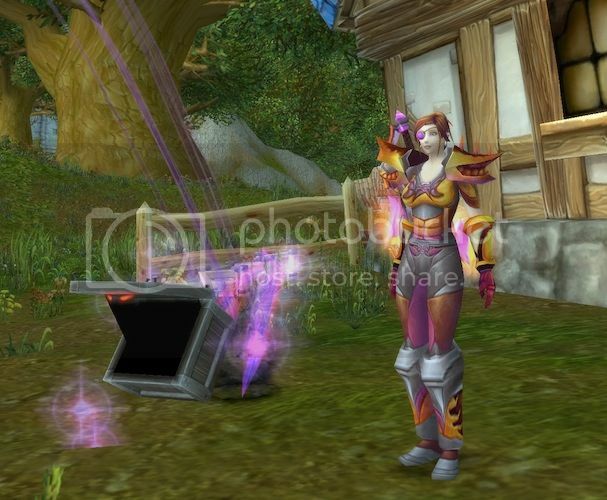 The first prize is a BlizzCon 2015 Virtual Ticket which awards the Murkidan pet. The virtual ticket should work in any region, as I'll simply buy the one that corresponds with the winners. 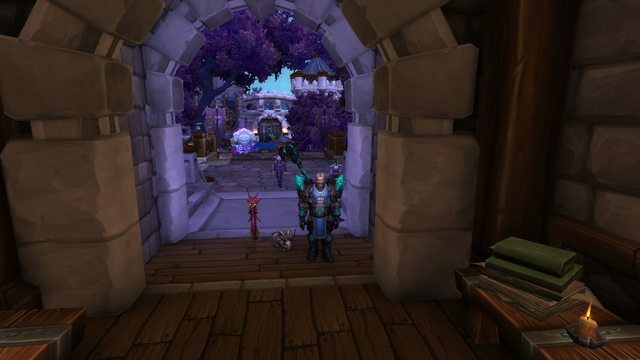 Take an in-game screenshot together with your favorite pet and post it to this thread. You will then be assigned a number in the order of your entering. (It seems you cannot post an image if you have under 8 posts, if that's the case then just write a post instead). Next Monday (09/14/2015) I will be in-game doing a /roll between 1 and the number of entries. The winner will be the one who had that number. Only accounts created before September the 7th will be able to take part. You have until 6 PM UTC on Monday 09/14/2015 to enter! Currently the requirement is pretty simple to enter, but it could be changed to be more competitive if people want it. It could also be a simple "choose a number" style lottery. I know the site is dedicated to pets, but would you be interested in things such as Blizzard Store mounts or TCG toys as prizes? Any ideas on how to lessen the risk of someone entering more than once? Last edited by Madja on September 14th, 2015, 2:01 pm, edited 14 times in total. FYI: upon trying to post a pic "You must post at least 8 times before you are able to share external links. This helps us control malicious link spam." Then I tried to comment with a veiled link (commenting that a site was good to host images, full stop period, and then the slash details .... for the pic) and I don't see it having posted even though the site acted like it did. Anyhow in case you don't require the 8 posts to do an image, my favorite is the Giraffe Calf. I dunno why, I'm indifferent in real life to them. But in game, for all the pets I have it still makes me smile and I frequently have it out, and sized boosted if I have any of the items to do so. Edit: not topic related, it's weird that this is my first post on the side bar to the left (at least that's what I see atm), as I've posted a few times (though not 8 I'm sure) and even revisited them and seen them while not even logged in (at work, guilty). My Kirin Tor Familiar! Mostly because of the endless hours spent farming him. Pay no attention to the abundance of familiars/manafiends running around behind us! This would be strictly an EU server thing, correct? OP is EU, first poster is EU but second poster is US. Might cut down on the confusion later to EU to the title. It should be open to any region. From what I gathered after talking to Customer Support, the ticket will function for the region that I buy it from. So if someone from the US wins, I'll buy the US one and the same with EU or any other region. Madja wrote: Any ideas on how to lessen the risk of someone entering more than once? Not fool proof, but make it mandatory (to join the raffle) to have BattleTag listed to the left of this text..
Yeah, that would probably be a good idea I'll consider it for the next raffle. I think my favorite pet would have to be the Emerald Whelpling, partly because of the number of hours I spent farming for one back in Vanilla. So many green whelps died around that pond. The other part is how great a battler it is, it's so wonderfully tanky. Here's said Whelpling helping me finish off the last Maggot after taking down Bleakclaw. Last edited by Edonae on September 13th, 2015, 9:19 pm, edited 2 times in total. Oooh I'd love to enter the giveaway too please! Here's me and my favourite pet, the Creepy Crate (aka Luggage) in an action shot! Sprite Darter Hatchling is awesome, and is basicly the reason I have an army of level 25 pets, his like the father of all my combat pets! Thanks for all the entries so far! There's more than I had hoped for! Would people actually be interested in being there in-game when I do the /roll? If so I'll set a specific time. If not I'll just do it whenever I log on on monday Please let me know your thoughts! Hey Madja. Thank you for this competition. I'm not sure of the rules but if I need 8 posts to enter then this can be No. 1. If this can count as an entry my favourite pet is the Celestial Dragon. I started collecting pets just to get this one for the 150 pet achievement and now my addiction has got me 704. I use the Celestial Dragon every day for a couple of the pet dailies in Pandaria and it never lets me down. Having said all this if I win this competition I could have a new favourite!